How content marketing can help you increase your sales revenue. MUST READ! Home > Blog > Blog > How content marketing can help you increase your sales revenue. MUST READ! While talking about how content marketing can add value to your business in our previous article, we talked a lot about content marketing, its value, stats related to it and so on. 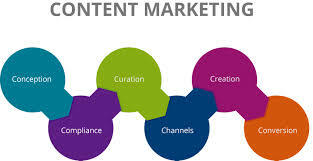 To dust off let me present you its definition once again – Content marketing is any marketing format that involves the creation and sharing of media and publishing content in order to acquire customers. So, basically it is the process of developing and sharing relevant, valuable, and engaging content keeping a target audience in mind. However, the end goal of content marketing is to generate more revenue for the business either by customer acquisition or remarketing i.e. increasing business from existing customers. In this article we are going to discuss how content marketing can help your business consistently get results not just effectively but also cost-effectively. It will be rude to say but is a fact that consumer are not there to care about you, your products, or your services. They however care about themselves, their wants and their needs, which is not wrong anyway. But then that matters to you and your business. So, actually through content marketing you create creating interesting information your customers are passionate about in order to grab their attention, engage them and build a good relationship with them by making them trust you and your credibility. 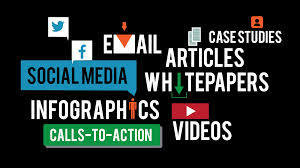 In content marketing, the information can be presented in a variety of formats, including news, video, white papers, e-books, infographics, case studies, how-to guides, question and answer articles, photos, etc. so, by delivering educational or informative material, content marketing tends to create consumer’s interest in a product however to conduct it successfully one has to be consistent at delivering content that’s high quality and solves people’s problems. 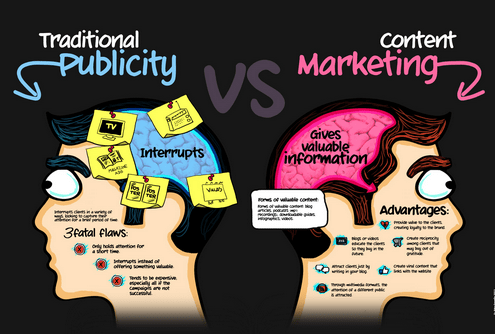 Let’s have a quick look to a few stats telling why content marketing matters to your business. • Content marketing costs 62% less than traditional marketing methods. • Companies that blog have 55% more website visitors than those that don’t. • 68% of marketers agree e-newsletters are the top email messages that help to achieve their business goals. Numbers talk! Don’t they? 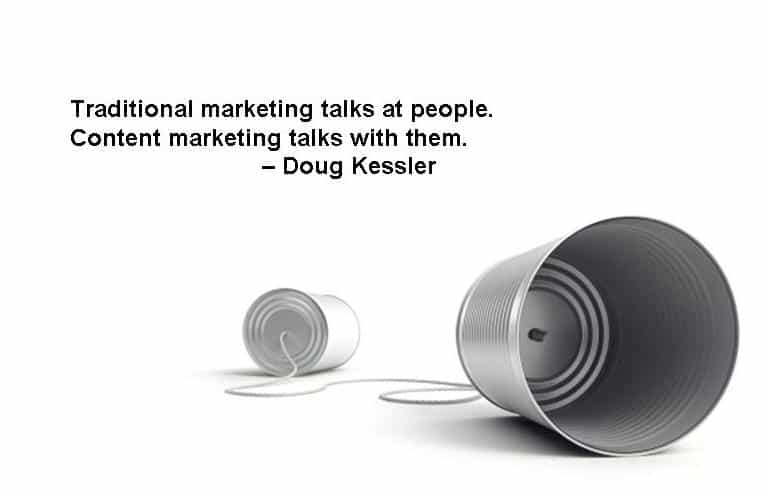 Especially here they clearly tell you how content marketing proves itself to be a marketing that’s favored by today’s consumers. Besides, a few facts are also revealed that although come after the customer likings but account for a completely unbeaten business and that content marketing is cost-effective and needs not much time to start. Make a list of the issues your target audience is struggling with or passionate about. Put together the key areas where your company has results focused expertise and make a note of it. Conduct a research on the behavioral pattern of your target audience and figure out facts about how and where they consume content. Depending on your research, choose the content marketing platforms you will put efforts in that are sure to grab the attention of your target audience. Remember, blog is something that’s anyway required. Create an editorial calendar for your content according to what your target audience is interested in and the solutions you have to offer. Allocate resources such as time, money and of course the staff for content management that includes development of new content or reuse of the existing content, according to your editorial calendar. Make sure you don’t forget to include a strong, specific call to action in each piece of content. Measure your results and adjust as needed. • Starting a blog with recipes and tips on how to make healthy choices is something that will work if you are a nutritionist. • For financial planners, they can help busy families manage their budget more effectively by creating and delivering reports on ways to save money. • A photographer can prove his talent by creating a video tutorial series on how to go about a particular type of shoot. • Creating a checklist of mistakes to avoid when starting a decorating project is a good idea if you are an interior designer. • If you are working as a virtual assistant, creating an infographic featuring 5 organizational tools will help you help your clients save time that in turn makes them to trust you more.